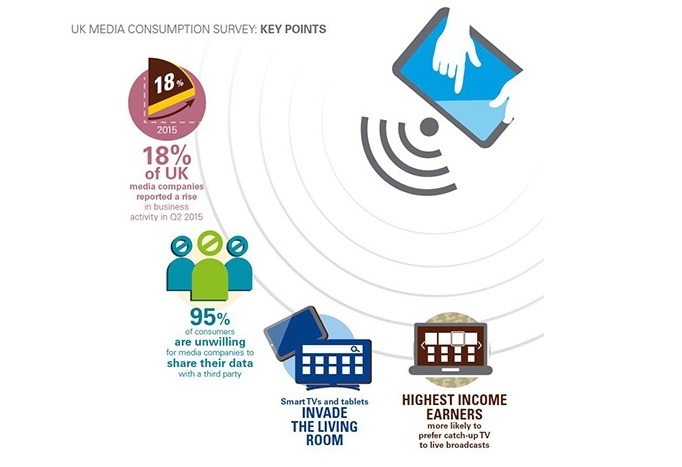 95% of consumers using catch up OTT video services are unwilling to allow media companies to share their personal data with a third party, according to the findings of the KPMG Media Tracker. The survey of 1,500 households revealed younger consumers to be particularly concerned about data privacy, with 97% of 18 to 24 year olds refusing to allow their details to be passed on, regardless of the benefits offered in return. This trend jars with demands from advertisers, who want increasing access to customer data as they try to refine their campaigns and hone in on their intended market.